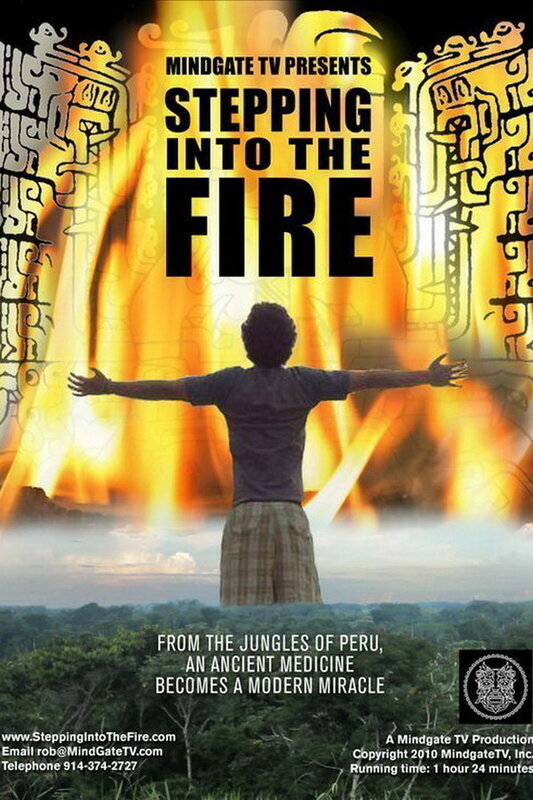 Stepping Into the Fire font here refers to the font used in the poster of Stepping Into the Fire, which is a 2011 documentary movie that follows the story of three successful individuals brought together by an ancestral medicine from South America. The font used for the movie title in the poster is probably Impact designed by Geoffrey Lee in 1965. The font is a commercial one and you can view more details about it here. In addition to Stepping Into the Fire, Impact typeface is also used in the following logos, movie posters or album covers etc., including: Chicken Run, GameStop Logo, Alan Wake, One Direction: This Is Us, Soul Eater, Criminal Minds, No Country for Old Man, Yellow, Generation Iron, Total Blackout, Dawn of the Dead, Undefeated, Hot Wheels AcceleRacers, Cash Money Records, The Aggression Scale.